Ryko offers the industry’s only comprehensive chemical program with expert wash solution delivery, service and maintenance provided by our national network of knowledgeable, specially trained technicians. Our industry-leading chemistry technology is designed for complete car wash success, with maximum vehicle cleaning and made to perform in any brand of car wash equipment. 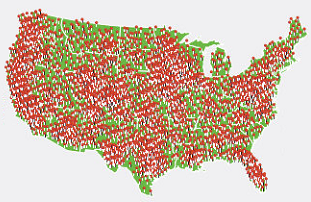 What’s more is that Ryko offers the industry’s only comprehensive chemical program with expert wash-solution delivery, service and maintenance provided by our national network of specially trained technicians. Our industry-leading chemical technology is designed for your car wash’s success and is made to perform in any brand of car wash equipment. 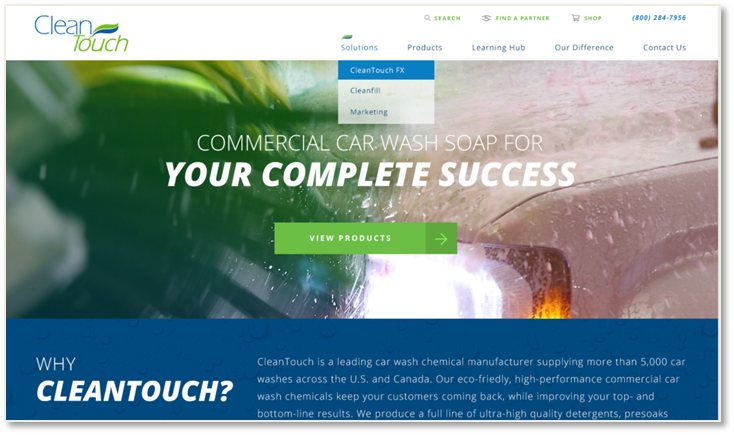 CleanTouch wash solutions are available in two simple packaged options. With our Cents Per Wash option, we supply you with chemicals as you need them and you’re charged based on your wash counts. With our Bulk Chemical option, we supply you with chemicals as need and you’re charged based on the containers delivered or refilled. Ryko’s eco-friendly, CleanTouch wash solutions are tough on dirt and gentle on the environment with formulations that go head-to-head with leading national brands at a lower cost to you. And unlike some of our competitors, we test everything from cleaning effectiveness and proper vehicle lubrication to eliminating brush marking, providing surface protection, effective drying and operative ways to enhance the longevity of car wash equipment.